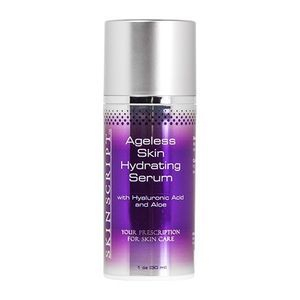 Skin Script Ageless Skin Hydrating Serum showers the skin with moisture using hyaluronic acid while infusing the skin with anti-aging active ingredients for a more youthful complexion. The Ageless Skin Hydrating Serum has a nice, light texture and is great for restoring moisture into the skin and balancing surface bi-layers. 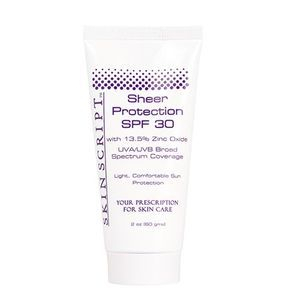 Get rid of breakouts and blemishes fast with Skin Script Rx Blemish Spot Treatment! 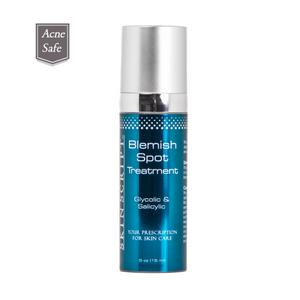 Skin Script Rx Blemish Spot Treatment is a targeted treatment that dries out blemishes and promotes the healing process to make them disappear as quickly as possible. Keep it with you, and apply it regularly until the blemish is gone. Skin Script Rx Blemish Spot Treatment is a targeted treatment that soothes and heals active lesions, spots, blemishes, and breakouts. 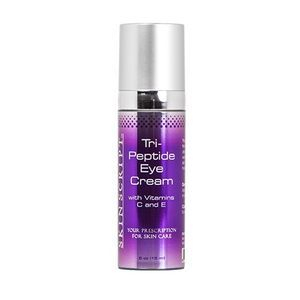 It is recommended as a spot treatment with oily, acne-prone, and problematic skin types. Packed with antioxidants and nourishing vitamins, Skin Script Rx Glycolic Cleanser purifies the skin, removing excess oil and neutralizing bacteria for a clear, vibrant complexion. 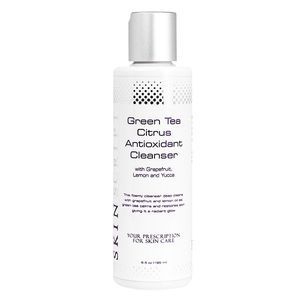 This powerful cleanser gives your skin new life, boosting radiance and promoting long term clarity for a smooth, vibrant complexion that feels and looks beautiful. 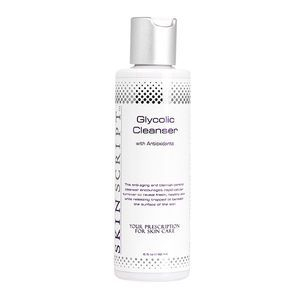 Skin Script Rx Glycolic Cleanser is recommended for all skin types, tones, and conditions. 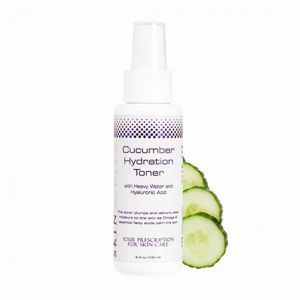 It is particularly effective on thick or tough skin in need of exfoliation. 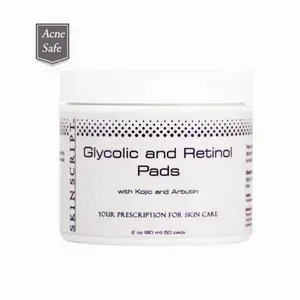 Skin Script Rx Glycolic and Retinol Pads break up oil, unclog pores, and improve skin cell turnover to provide a clear, fresh complexion that looks healthy and bright. In addition, each pad has anti-aging benefits, lifting away age spots and smoothing the skin for fewer fine lines and wrinkles. 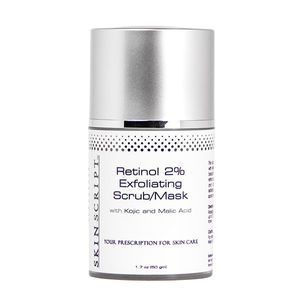 Skin Script Rx Glycolic and Retinol Pads is recommended for all skin types and conditions. It is especially good for oily, acne-prone skin, active lesions, and problematic skin types. It also works wonders on aging skin and hyper-pigmentation. 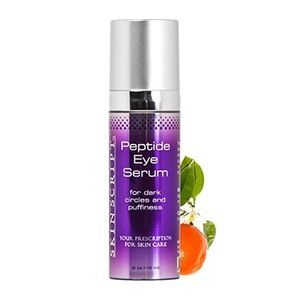 Skin Script Peptide Eye Serum opens the eye zone for a refreshed, youthful appearance. 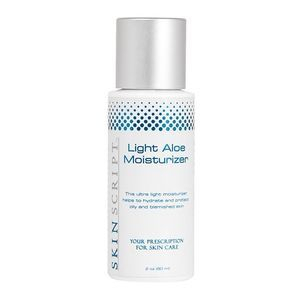 Brightens the appearance of discolorations, reduces the appearance of wrinkles, stimulates circulation, and improves tissue strength while encouraging healthy cellular skin functions. 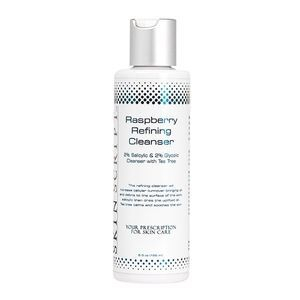 Skin Script Rx Raspberry Refining Cleanser is a powerful acne treatment cleanser that clears clogged pores, removes excess oil, and exfoliates the skin for a pure,, fresh complexion. Containing protective antioxidants, brightening fruit extracts, and soothers, Skin Script Rx Blemish Control Cleanser provides long term clear skin with fewer breakouts and blemishes. Skin Script Rx Raspberry Refining Cleanser is recommended for oily, combination, acne-prone, and problematic skin types.